“Two Eyes for an Eye: The Neuroscience of Force Escalation,” by Sukhwinder Shergill et al, Science, 11 July 2003, Vol 301, Vol. 301 p 187, http://hera.ucl.ac.uk/sml/publications/papers/SheBayFriWol03.pdf. “Could Political Attitudes Be Shaped by Evolution Working Through Genes?,” by John Alford and John Hibbing, Tidsskriftet Politik, August 2006. Across the six pairs, there was a significant (F1,5 =12.1, P = 0.05) average increase of 3.2 N over the eight turns corresponding to a 38% mean escalation on each turn. The increase was also significant (P= 0.05) within every pair of participants. Thus, force escalation occurs rapidly even under instructions designed to achieve parity. (Shergill 2003 187). This observation suggests that self-generated forces are perceived as weaker than externally generated forces of the same magnitude. (Shergill 2003 187). When the force was generated via the joystick, the reproduced force matched the original force much more accurately [Fig. 1B (0)]. (Shergill 2003 187). If, however, orientation is partially genetic and only partially environmental, a preferable way to tap it is to pose questions that are less culturally specific. Possibilities include attitudes toward leadership, toward punishment of rules violators, toward out-groups, and toward traditional values. Ten examples of such items are presented below. people initially assume all those in far away places are kindly. people are rewarded according to their abilities. people adhere to the principles they cherish no matter what. people adjust their values to fit changing circumstances. people join together to help others. it speaks with many voices. people recognize that humans can be changed in positive ways. behavioral expectations are allowed to evolve over the decades. those who break the rules are forgiven if they are authentically sorry. Alas, poor Man! Perhaps no other animal has suffered as he! These thousands of years have seen disaster upon disaster. No matter how far homo sapiens wandered, and no matter what tools they would make, their tribes were pursued and persecuted. No sooner was some spandrel or the other adapted into a functional module than another calamity befell them. The first creature in all time to be pursued by an adaptive killing machine composed of intelligent, networked agents, Man no sooner earned some rest from the death squads but that the ecological equilibrium would be punctuated again, and new and more deadly enemies would appear. Wherever he ran, Man was pursued by Man. In my last reaction paper I expressed surprised that Buller would attack Pinker’s use of the term “species” to mean humanity-as-it-exists, rather than the sum of all our relatives since our last common ancestor 150,000 years ago (443). I now understand that Buller attacked Pinker because a variation in the definition of “species” would allow Gouldian analysis to be used in defense of Evolutionary Psychology (EP). “The extended stability of most species, and the branching off of new species in geological moments (however slow by the irrelevant scale of human life) — the pattern known as punctuated equilibrium — require that long-term evolutionary trends be explained as the distinctive success of some species versus others, and not as a gradual accumulation of adaptations generated by organisms within a continuously evolving population. Buller’s (and Gould’s) definition of “species” limits multilevel evolution to competition between groups that have been separated for longer than a “geological moment.” A trait-centered view of “species,” however, makes Gouldian analysis complementary to EP. Gould’s dangerous ideas is that most species change very rapidly. Change often results from a “catastrophic” extinction” (108) that goes beyond any natural disasters this world can generate (107). The human characteristic of coalitionary violence is a vehicle for such catastrophes. Humans, along with Chimpanzees (Wrangham 3) and Wolves (4), are the only mammals where most violence is pro-social. Any qualitative improvement in human cognition could mean a new a wave of the deluge, leading to the rapid, violent, and near complete replacement of one human population by another. This is impossible if “species” is defined as Buller and Gould mean, but trivial is we apply Pinker’s definition to Gould’s punctuated equilibrium. If this is true, we should see relics of these punctuations, as one may see different levels of drift refuse in a lake whose depths rise and fall. And indeed, we find these. Genes relating to personality are much older than genes relating to political persuasion (Alford and Hibbbing 2006 16). It may be the case that the “multiple, stable behavioral types” demonstrated in laboratory experiments (Kurzban and Houser 1805; Smith et al 6), and which extend to life-threatening types observed in the wild (Caspi et al 389), are each the result of a new equilibrium after a genetic punctuation. Likewise, saying ” a political system based on empathy” is a “dangerous new idea” (Baron-Cohen) may be factually correct if large-scale institutions are governed by systemic rules while small-scale groups or governed through empathetic heuristics because different scales of cooperation evoke different modules that were evolved at different times. A testable hypothesis can be built from this. Homo sapiens is not fully eusocial as it does not contain anatomically distinct castes (Wilson and Holldobler 13367), yet the existence of coalitionary violence in human and primate populations means that a condition that can begin a species on the road to eusociality — common enemies (13370) — existed in human bonds. Cooperation improves the efficiency of exterminating other bands (Sapolsky), so human bands may have been both the subject and object of eusocial competition. If the nature of man as a devastation-engine equates to an equilibrium-punctuating processor, then one can expect recent Gouldian adaptations in the human genome (see Hamock and Young for details on implementation). The best predictor of complexity among eusocially-oriented animals is community size (Wilson and Holldobler 13370), therefore, If Gouldian ‘punctuated equilibrium’ has been recently operating on the human species, humans should have specific adaptations relating to large community size. For instance, consider a module that dampens empathy when punishment is just (e.g., Singer et al). One may hypothesize that different modules will be invoked when witness the punishment of a large group as opposed to a small group, as large groups emerged later (along with a different punctuation) than small groups. Thus, the emotional state of subjects who witness punishment must be discontinuous as â€œjustlyâ€ punished populations vary in size, because different modules that evolved at different times would be evoked depending on the size of the punished group. If this is observed, it supports recent and repeated â€œpunctuated equilibriaâ€ in human evolution. “The College Classroom from the Perspective of Cognitive Psychology,” by Rogert Bruning, in Handbook of College Teaching: Theory and Applications, 1995, http://www.amazon.com/Handbook-College-Teaching-Applications-Collection/dp/0313281424. “Teaching Dialogically: Its Relationship To Critical Thinking in College Students,” by Susan Reiter , in Student Motivation, Cognition, and Learning, 1994. Notes on two chapters, including one by a UNL faculty (and a co-academic of the man I profiled Coming Anarchy under). While reading these articles, I was especially curious for any similarities to evolutionary psychology or to classroom democracies. “When North Korea Falls,” by Robert Kaplan, Atlantic Monthly, October 2006, http://www.theatlantic.com/doc/prem/200610/kaplan-korea (see commentary on Coming Anarchy, DPRK Studies, Left Flank, and ruNK, full text at Marmot’s Hole). You will care about anyone else until they get bored. Countries will care about their neighbors forever. But South Korea also provides a lesson in what can be accomplished with patience and dogged persistence. The drive from the airport at Inchon to downtown Seoul goes through the heart of a former urban war zone. South Koreaâ€™s capital was taken and retaken four times in some of the most intense fighting of the Korean War. Korean men and women who lived through that time will always be grateful for what retired U.S. Army Colonel Robert Killebrew has called American â€œstick-to-itiveness,â€ without which we would have little hope of remaining a great power. In the heart of Seoul lies Yongsan Garrison, a leafy, fortified Little America, guarded and surrounded by high walls. Inside these 630 acres, which closely resemble the Panama Canal Zone before the Americans gave it up, are 8,000 American military and diplomatic personnel in manicured suburban homes surrounded by neatly clipped hedges and backyard barbecue grills. I drove by a high school, baseball and football fields, a driving range, a hospital, a massive commissary, a bowling alley, and restaurants. U.S. Forces Korea and its attendant bureaucracies are located in redbrick buildings that the Americans inherited in 1945 from the Japanese occupiers. Korea is so substantial a military commitment for us that it merits its own, semiautonomous subcommand of PACOMâ€”just as Iraq, unofficially anyway, merits its own four-star subcommand of CENTCOM. The United States hopes to complete a troop drawdown in South Korea in 2008. Having moved into Yongsan Garrison when Koreaâ€™s future seemed highly uncertain, American troops plan to give up this prime downtown real estate and relocate to Camp Humphreys, in Pyongtaek, thirty miles to the south. The number of ground troops will drop to 25,000, and will essentially comprise a skeleton of logistical support shops, which would be able to acquire muscles and tendons in the form of a large invasion force in the event of a war or a regime collapse that necessitated a military intervention. Patience and dogged persistence are heroic attributes. But while military units can be expected to be heroic, one should not expect a home front to be forever so. And while in the fullness of time patience and dogged persistence can breed success, it is the kind of success that does not necessarily reward the victor but, rather, the player best able to take advantage of the new situation. It is far too early to tell who ultimately will benefit from a stable and prosperous Mesopotamia, if one should ever emerge. But in the case of Korea, it looks like it will be the Chinese. We will not care about Korea forever. Pretending we will sets us up for a big mistake. Not only are Americans not imperialists (thank heaven! ), we are far away. North Korea’s neighbors will care about northern Korea forever. Beijing and Seoul will care about northern Korea forever. To the Chinese People’s Collective or the Greater Korean Republic? So, should we build a future worth creating for northern Koreans by changing facts that will will build either a Chinese Korea or a Greater Korean Republic? How do we choose between a Zhongua Hanguo and a Daihan Minguk? 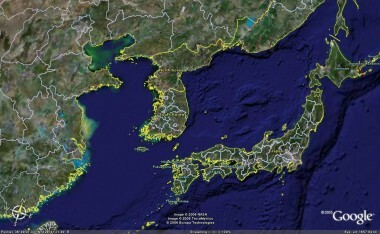 With news that North Korea has become a South Korean satellite, it looks like “Greater Korea” is already here. It’s in part a Stalinist dictatorship. It is going the wrong way. America should support Chinese designs in North Korea, and the overthrow of the “Kim Family Regime” by a pro-Beijing government. It may be better than a Untied Nuclear Leftist Korea any day.